These lines could have been written by one of our students launching a product for the first time. But in fact, they come from Danny Iny’s diary, when we launched the Course Builder’s Laboratory in the fall of 2015—our biggest, most successful launch to date, generating $2.6 million in sales. Proof that any product launch, whether by a newbie or a veteran, is a massive, messy undertaking. What can go wrong does. And technology acts up when it’s least convenient. No matter what size your business and how much experience you have, there’s no escaping the product launch gremlins. But those gremlins aren’t the real challenge of a product launch. When you second-guess yourself, when you only half-believe people will pay what you’re asking for, and when you feel icky about selling in the first place, it shows in your entire launch. Your audience senses your lack of confidence. So they hesitate to buy your stuff. A launch may feel like an all-or-nothing affair. Everything’s at stake, from your income to your self-worth. You may even take the results of your launch personally, seeing launch results as an indictment of your competence and caliber. But a product launch doesn’t have to be so scary it paralyzes you. Product launches are essential for you to build a sustainable business and make a big impact. And they’re part of your learning and growth as an entrepreneur. 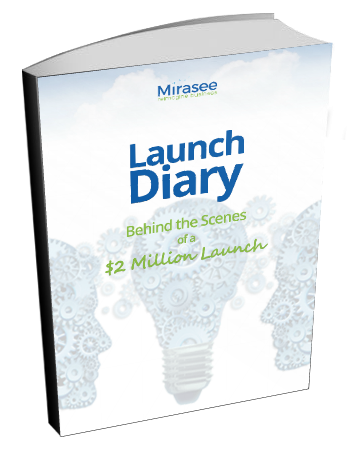 In fact, at Mirasee, we still learn a lot from every product launch (you can read about past launches here and here). So let’s look at the 5 biggest lessons that stood out to us after our $2+ million launch of Course Builder’s Laboratory in September 2015. 1. To have a $2 million launch, create a $2 million product. Do you feel selling is unnatural and sleazy? Then mastering sales techniques won’t help you. What will help you sell comfortably is knowing without a doubt you’re offering a high-quality product, one that helps users achieve positive results. You accomplish this through piloting, a process we teach our students. 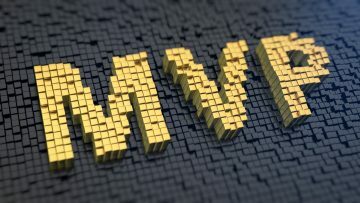 Piloting involves creating a beta version of your product (aka Minimum Viable Product) and selling it to early users at a discounted price. In exchange, beta users give you extensive feedback to help you create the refined, full version of the course. We practice what we preach. We piloted the Course Builder’s Laboratory, not once, but twice, before we first launched it in February 2015. Although that was a million-dollar launch, we felt we could have done better. So we learned from that cohort of students and made the Course Builder’s Laboratory even more outstanding. We restructured the course and rewrote the lessons to address the hurdles that bogged down our earlier students. This made deadlines extremely tight, but we didn’t want to sacrifice quality. In the end, only the first few modules were complete by launch time. The rest of the modules were finished as our students went through the course. All told, the latest iteration of the Course Builder’s Laboratory was more than a year in the making. We sold it with confidence because it was the product of testing and refining with different groups of beta users. We also knew the program worked, because we already had a number of successful students from the pilots and first launch. Pilot your product before creating and launching a full-scale version of it. That way, you know it’s the best possible product you can create. You’ve proven to yourself and your audience that your product works, and you even have a few success stories to show for it. Piloting will give you the confidence to put your product out there. And the results will serve you when you recruit launch partners (more on that later) and create your sales materials. 2. Get your core message right before you do anything else. To have a $2 million launch, we needed a $2 million message. After all, a product is only as valuable as the prospects perceive it to be. Our marketing messages had to communicate the value of our product as well as drive home the urgency of joining the program. The two pilots and previous launch of the Course Builder’s Laboratory helped us sharpen our marketing messages while we were refining the final product. We also conducted a survey to validate our hypotheses and draw out the language our audience was using to describe their needs and desires. We learned enough about our target audience to come up with resonant messages. 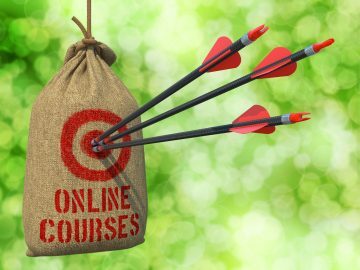 We knew they wanted to create and sell online courses badly, but they didn’t necessarily feel they had what it took to do so. For our core message, we decided to focus on the information versus education divide in online courses. Real education sets Mirasee apart from other online course creators and presents a massive opportunity for those who are willing and able to seize it now. From this core message, we created a narrative for the launch. Each piece of the story would be delivered by pre-launch content, leading up to the sales page itself. First, Danny published Teach and Grow Rich: The Emerging Opportunity for Global Impact, Freedom, and Wealth. It gave the big picture of the industry and described the difference between information and education. It also made the case for why providing education presented a “fat tail” of opportunity, where more entrepreneurs could have moderate but life-changing successes. In contrast, information was a long tail of opportunity, where very few succeeded—but did so massively—while the rest skirmished over crumbs. Next, we went into more detail about how to grab the opportunity of online courses. We put out an infographic showing the exact roadmap for creating, piloting, and launching an online course. Then we shared case studies of students who had used the roadmap to launch successful courses. The case studies proved that, not only did the program work, but people just like our audiences were already profiting from it. 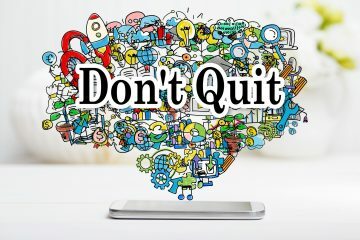 Next, Danny gave a webinar that showed, step-by-step, how anyone could go from idea to pilot course, no matter what size audience they had or didn’t have. It was so detailed that someone could follow the steps in the webinar to launch a pilot, even without enrolling in the Course Builder’s Laboratory. Those who attended the webinars could also enroll before the cart officially opened and receive early-bird bonuses. This way, we started getting students even though the sales page wasn’t even live yet. The sales page provided the final part of the narrative. It was as long as an e-book—just as long as it needed to be to address all of our prospects’ concerns and enable them to make an informed decision about the offer. Not only did we make $2.6 million in sales. We also attracted more of the right kind of people, the caliber of students we know are most likely to succeed in the program. Proof that our messaging was spot on. Use the piloting process to refine and craft a core message that will resonate with your target audience. And then create a narrative for your entire launch. Each pre-launch content provides a piece of the puzzle and guides your audience towards the inevitable conclusion that your product will either solve their problem, provide a delight, or both. Pour as much love and time and energy on your pre-launch content as you do your sales page. After all, pre-launch content will warm up your audience and set the stage for more sales. When you send the right message, not only will you attract more buyers, but you’ll attract more of the right buyers. 3. Personalize the launch experience to ensure a message-to-market match. Which email are you most likely to read? The one about getting more subscribers, because it’s exactly what you’ve been looking for. Dan Kennedy calls this The Secret of Message to Market match and, more than anything, it determines how successful any promotion will be. No amount of copywriting cleverness, marketing mastery, or sales savvy will make up for the lack of alignment between your offer and what your market is looking for. Customizing your marketing message to the right audience, Kennedy says, puts your promotions on steroids. During the Course Builder’s Laboratory launch, we achieved message-to-market match by personalizing the launch experience. For one thing, we only sent launch-related emails to people who requested the pre-launch content. Subscribers who showed no interest whatsoever in the launch didn’t receive any of our promotional messages. This way, we minimized the chance of annoying people with our launch emails, without them having to unsubscribe from our list entirely. And within the launch list itself, we further segmented subscribers based on their behaviors—such as which pre-launch content they consumed—to make sure they received only what was relevant to them. For example, people who registered for a webinar but didn’t attend received an email about the next opportunity to catch the webinar. The software we used, such as HubSpot and GoToWebinar, allowed us to automate much of the list segmentation. But we also manually culled certain lists when an automated solution wasn’t available. This was hard work but worthwhile to do with people we assessed to be “hot” prospects most likely to buy the course. Get to know your target market, and deliver customized marketing messages to them. Don’t settle for generic messages that bring bland results. This requires an intimate knowledge of your target market’s hot buttons and emotional drivers, which you can unearth only by doing thorough research. Don’t skip the research! Know your audience intimately and the selling will become much easier and more effective. You’ll also need to segment your lists. We don’t recommend doing this manually unless you can afford to hire extra manpower. While we used expensive tools, more affordable options like AWeber and InfusionSoft also have list segmentation features. Send your launch messages only to those people who’ve shown interest. If you use different media in your pre-launch content, follow up using the same media. If people opted in for videos, for example, your follow-up messages could also be in the form of videos. For those who downloaded an e-book, follow-up through emails and text-based web pages. 4. Market outside your audience. Prior to the launch, we already had a list of over 20,000 people. But to make it our biggest launch ever, we needed to reach a much bigger audience. We did this through Facebook advertising and launch partners. As a result, more than 60% of our launch sales were to people outside our original subscriber base. Facebook ads allowed us to target very specific demographics, which helped with the message-to-market match. Our ads corresponded with each pre-launch content as it was released, and we pinpointed which ads were most effective for each target audience. Also, through the magic of retargeting, we served Facebook ads to people who had visited our launch landing pages but didn’t convert. This allowed us to show highly customized ads consistent with the launch pages they had visited. Again, another way of ensuring a message-to-market match. From an investment of $7,000, we gained several thousand leads and made $10,000 in sales—not bad, considering the lifetime value of subscribers. Still, we could have gotten better results if we had increased ad spending earlier in the launch as we got a better idea of which ads worked. What made the biggest difference in our sales was working with partners. We’ve always counted on partners to promote our products to their own audiences and warm them up so that, when they received our sales message, they were already primed and ready to buy. This time, though, we went for quality over quantity. We invited the top 50% of partners who had the highest number of sales in our previous launch. Then we reached out to new partners with large lists of subscribers (who matched our target audiences) and were willing to promote aggressively. Our final list consisted of 40 partners, a lot fewer than the more than 100 partners we had in previous launches. While we limited the number of partners, we worked them intensively. 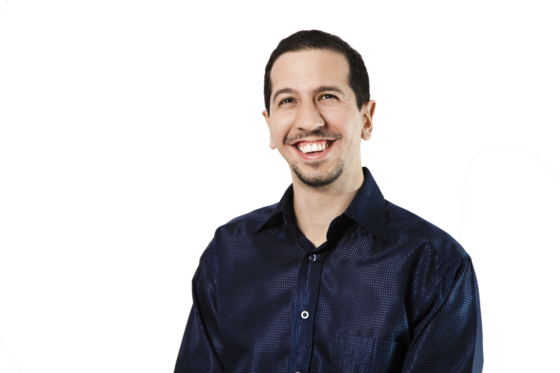 Danny had personal strategy sessions with each one to identify the best angle for their audience, how to make pre-launch content compelling to them, and what email marketing schedule would make the best sense. We added rewards and competitions to motivate our partners. Prizes included cash, headphones, Kindles, and a weekend mastermind. And the top prize? A brand new Tesla. It worked. Our partners tried to outdo each other, with some sending more emails than originally planned and even changing strategies mid-launch to get closer to that Tesla. When the dust settled, our partners made more than $1 million in sales. If you can afford it, use Facebook ads to bring more people into your launch funnel. We recommend Facebook because you can target people with very specific demographics and interests. Work with partners who are already reaching your target audience, and make it worth their while to promote your product. Backing up your claims with your piloting results will make it easier to convince others to work with you. Also, keep in mind that engagement trumps list size. Don’t dismiss potential partners just because their list isn’t as big as you like. Their audience may be small, but if they’re highly engaged, then conversion will be higher. For example, one of my internet marketer friends was rejected from a telesummit because she had a list size of “only” 3,000 people. But the telesummit organizer didn’t realize my friend was referring to her list of buyers: people who’ve already spent money on her and are highly likely to buy something she recommends. That’s much more valuable than 10,000 subscribers who haven’t opened their wallets. 5. Harness technology, but be ready when it fails. Technology helped the most on two fronts. First, managing and collaborating with our biggest team to date. And second, optimizing conversions throughout different phases of the launch. Right before the launch, we grew from 10 to 20 people. That’s double the team in less than six months! And so it became a challenge to keep everybody in the loop in a timely way, especially about mid-launch changes and adjustments. Remember, Mirasee is a remote team, which means we live in different countries and time zones. If we needed to check in with someone, we couldn’t just walk over to their desk. So we did the next best thing: we used technology. Slack was (and still is) our tool of choice for sending individual and group messages instantly. We had a dedicated Slack channel for live chat questions, for instance. If someone received a question they didn’t know the answer to, they posted the question in that Slack channel and got an answer within a minute, if not quicker. For video conferencing, we used Zoom. We had virtual daily team meetings, including a daily check in by the management team to discuss and decide on issues. We could also pop into video chats quickly when we felt the need for it. We used Asana to track the progress of the various moving parts of the launch. 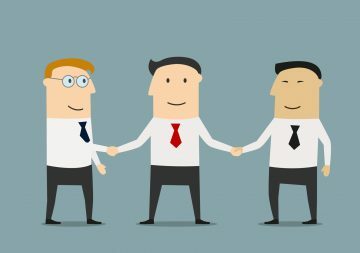 It not only made it easy for managers to assign tasks to team members. It also gave us a place to see all the different pieces as well as the big picture of the launch. When it came to optimizing each phase of the launch, we couldn’t find a single tool for everything we wanted to do, so we used a variety of tools. As mentioned earlier, we employed Hubspot’s features to automate behavior-based email segmentation. For A/B testing the landing and check-out pages, our tech team custom coded each page. This approach, though, turned out to be much more time- and energy-consuming than using templates and plugins. We were overly ambitious with the features, automation, and integration we wanted, but we had neither the time nor the manpower to implement them ourselves. Despite testing and preparation, things broke. Some integrations didn’t work. Some pages weren’t ready on time. We couldn’t do as many tests as we would have wanted to. But we’ve come to accept these technology breakdowns as an inevitable part of any launch, so we pivoted and adjusted along the way. Even if you’re a programmer with complete mastery of the interwebs, get somebody (or a team) to provide tech support during your launch. Use the tools that are already available instead of creating your own programs from scratch. You’ll be surprised what solutions are available right out of the box for most of your needs. And finally, be prepared for tech hiccups. Test as much as you can before the launch, and give yourself plenty of time to implement and make changes when the need arises. Any product launch, big or small, you’ll find yourself battling with technology, obsessing over results, and scurrying to complete tasks on time. Use piloting to make sure your product is good and provides results. Create a launch core message and narrative that will resonate with your audience. Customize your launch messages to ensure a message-to-market match. Reach a wider audience through partners and/or Facebook ads. Make the most of the technology, and be prepared for it to fail. Your launch won’t be perfect; it never is. And you can always do better next time.